Climate scientist Peter Stott is still trying to connect extreme weather to climate | Watts Up With That? From the UNIVERSITY OF EXETER and the “weather is not climate” department comes this press release that comes with a blindingly obvious title. So far, the efforts trying to link “climate change” to extreme weather events usually come up short. Often they come amplified in social media by activists like Bill McKibben who sees climate change occurring behind almost every weather event and uses that as a tool to keep his followers excited and active. But the reality is that extreme weather just hasn’t been on the increase. 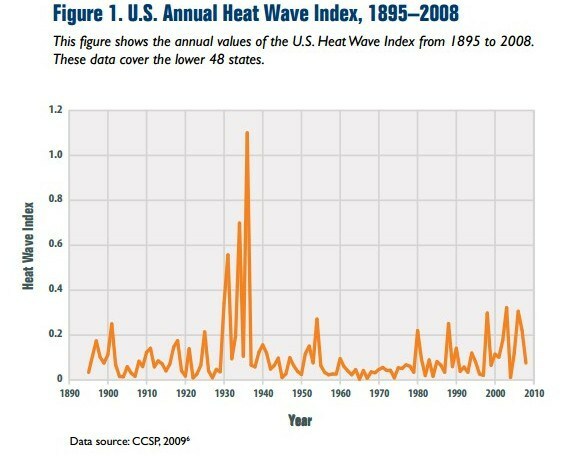 Hurricane frequency is flat and accumulated cyclone energy has been down, and hasn’t reached levels seen in the 1990’s, US landfalling hurricanes of Category 3 or greater continue in an unprecedented 10 year drought, tornadoes aren’t increasing, in the U.S. at least, heat waves aren’t getting worse, even though activists like to falsely claim so, much of it has to to with urbanization. Droughts aren’t getting worse. Often flooding that is claimed to be worse due to “climate change”, is often a result of poor management, such as what happened in Southwest Britain. In fact, a lot of the ideas that extreme weather is becoming worse are little more than a bias due to increased reporting of /7 news outlets. Even the IPCC says in their SREX report ( IPCC Special Report on Extremes PDF) that with the exception of some warmer days and night and rainfall that “may” have been exacerbated by slightly warmer global temperatures, they can’t make any clear link to other type of severe weather, expressing “low confidence” in such linkages. It’s a dead issue. Sure, lets collect better information. More information is good, but let’s not collect it with a specific goal to use it to connect climate change to extreme weather. That’s not science, it’s activism. Researchers need improved techniques to be able to understand why the climate is changing, and the part humans play in this process, according to Professor Peter Stott, who also leads the Climate Monitoring and Attribution team at the Met Office. In an article in the journal Science Professor Stott, who is part of the Mathematics Department at the University of Exeter, says reliable information is vital for policymakers as they decide how to safeguard people from extreme weather. Knowing what causes natural disasters can help inform decisions about how to rebuild or price insurance. “Placing recent extreme events in the context of past and future climate variability and change would enhance the ability of societies to manage weather and climate-related risks,” Professor Stott says in the article. Climate change caused by humans has led to an overall increase in the frequency and intensity of daily temperature extremes and has led to more extreme rain over the world as a whole. But the risks of unusual weather events such as floods, droughts, and heat waves have changed differently in different parts of the world. More research is needed to understand exactly how communities are being affected by climate change. Professor Stott co-edits an annual report explaining how the climate has affected extreme events of the previous year. The report has grown from considering only six events in 2011 to covering 28 different events in 2014. These reports help to explain if climate change has influenced either the magnitude or the probability of specific types of weather events. 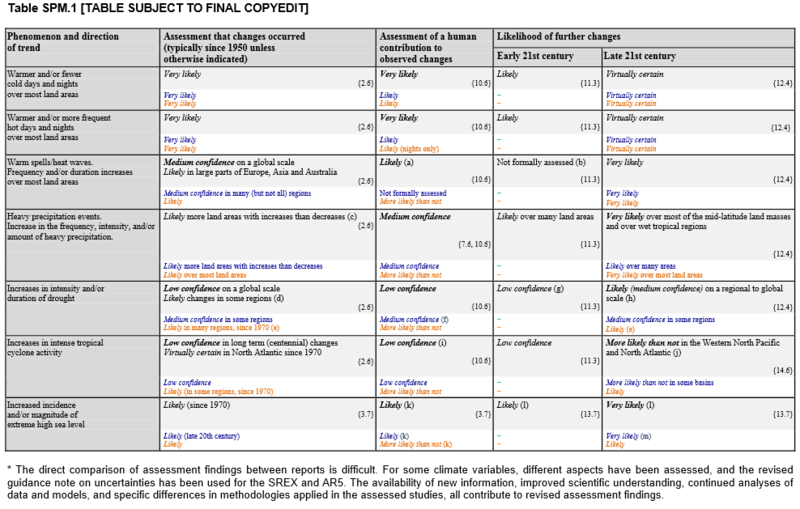 Most researchers use mathematical modelling to help assess the extent of climate change. It is easier for them to find evidence that human-induced climate change causes extreme temperatures because there is a wealth of data on extreme hot and cold events and they can be well captured in climate models. Heatwaves occur over a wide area. It is more difficult to examine extreme rainfall because there is a lack of accurate data, climate models can fail to represent them adequately, and their relationship with climate variability and change is often not well understood. Flooding is often extremely localised. Scientists are trying to rectify this through projects, including the European project EUCLEIA (European Climate and Weather Events: Interpretation and Attribution) which is led by Professor Stott and a team from the Met Office. June 23, 2016 in extreme weather. So he is drawing conclusions about how research he has not yet done will come out. Political science? Nope. It sounds to me more like a request proposal for funding. It’s all about the money. Just give me more money and we can make video games that will show you politicians exactly what you want. NOT SCIENCE! The unwritten subtext is: “We’re really not very clever or sophisticated in the ways that we adjust data, but in the next few years we will be able to adjust the data in a way that provides more of a statistical linkage between extreme weather events and the adjusted data, giving the appearance, to the average moron, that the there’s a causal relationship between man-made climate change and that storm that will scare the crap out of them.? Anthony > 27/7? Move fast! Each hour now has 53.33….. Mins. Is that EU metric hour? My “7” finger is on a different hand than my forefinger! My MacBook doesn’t have a number pad, which is what I often used to enter numerals on my old Windows laptops. Your all-day news source, now with 12.5% more news! Reminds me of the grocery store in my hometown when I was growing up that had a sign advertising that they were “Open 25 Hours”. Kind of like the grocery store in my neighborhood that had a sign advertising that they were open “24/7 except Sundays and after 6:00 pm”. Very clever marketing, I thought. Anthony must be using the extra 3 hours in order to complete his huge work load. They should be made to write on the blackboard “Weather is not Climate” 100 times. Dog chasing tail. CO2 was supposed to warm the globe until it didn’t. Then it was supposed to cause climate change except climate isn’t changing enough to matter. No warming, no accelerating SLR, no ocean acidification because of buffering… So now they will try to attribute extreme weather to CO2. It will take modelling advances, for sure. Because even IPCC SREX could not make that attribution. And weather extremes have been diminishing as CO2 continuedto rise. Stott apparently does not realize how foolish he is. No, he does realize how stupid he sounds. He does not care. It’s all about the money and tricking Liberal nutjob politicians! Yes, basically 15 years ago it made sense to wonder about, after 15 more years of data it should have been obvious whether or not the weather would get worse. On time scales that matter, global warming doesn’t. a warming planet should make extreme weather events less likely because the extreme weather is driven by temperature differences from the arctic to the equator. Oh…the HORROR if that was actually played out. What would the alarmists do? Had hurricanes/nor’easters/storm surges in the past? Plan for them. Do you know that sea levels will continue their slow rise? Plan for it. Had droughts in the past? Plan for them. Live in a floodplain and had floods in the past? Plan for them. Live where tsunamis are possible? Plan for them. What other bad things have happened to you in the past? Plan for them. Worried about CAGW? Eat ice cream. “Attribution” studies are sophisticated-seeming speculation, which have enabled the above-mentioned policy makers to wreck the present out of fear of an improbable future. Best advice ever, dog daddy. And as far as drought are concerned as others have mentioned : Change the people that have time and again shown to be total idiots. The same goes for many other relatively and logically solved issues! Ok I think I finally get it. Climate is bad. All of it. It didn’t use to be. It was in balance, natural and stable. Then humans screwed it all up. We can reverse the damage. Almost perfect. I would only add that they think “western humans” screwed it up, because obviously Chinese and Indian Coal fired electrical generation is a good thing – since they never protest them. Obviously only the west with our economic development are the issue. The drought question is confounded by different drought indices. The preferred index is the PHDI (Palmer Hydrological Drought Index). This index compares basin moisture content. Most studies have been using the PDSI (The Palmer Drought Severity Index). That’s because the PDSI is sensitive to temperature. The PDSI becomes biased with a higher temperature. There are reasons why Palmer came up with such an index, but in climate change, it is like saying “the temperature is higher” in two different ways. For the most part, droughts and floods follow the major ocean oscillations. You could even see that trend on the ENSO chart from yesterday (https://wattsupwiththat.com/2016/06/22/an-interesting-and-unique-graph-that-ties-enso-global-temperature-and-other-climate-variables-together/). On that chart, the blue-green line is the precipitation anomaly and the yellow line is the temperature anomaly. After that, the only man-made contribution to precipitation changes has been land-use and land-cover changes. The magnitude is much smaller than ocean oscillations, but there does seem to be an effect. When forests or jungles are cleared for farms or cities, the result is less precipitation (due to lower evapotranspiration.) Growing plants tend to retain more moisture than mature plants. This is an important distinction because reducing carbon dioxide has no effect on land-use and land-cover changes. It’s the classic “false correlation”. Many of the solutions to climate change include up to 50% of fuel from bio-fuels (plus, many carbon credit trading systems plants new trees to offset carbon dioxide generation). These shifts could create a significant, negative impact on precipitation. The solution can be worse than the problem. thanks for that reminder, loved that cartoon!! You’re welcome! My pleasure, heh. Have you noticed that I’m trying not to talk so much around here? My personality really annoys some people — so, I’m doing my best to keep the peace around here by only “jabbering” on once in awhile. …. uh…. oh…… here they come, now….. Bye! Janice, people can disagree with the content of your comments, but they can’t disagree with who you are. Just be you. Thank you, so much, Phil (in California). I can take content-based protests. Unfortunately, me just being me (don’t worry, I am VERY MUCH GOING TO BE ME**! lolololo 🙂 ) is what elicits the snarls. Rarely is someone attacking my content – just my tone or my manner (or verbosity). A person can only take so much personal attack – then, it is better for all concerned to just retreat…. ……for awhile … but,…… IIIII’ll beeeeee bAAAAAAaaaack – bwah, ha, ha, ha, ha! I’ll say 20 % of the reason I read here is because I enjoy your posts and love the way you use language so eloquently ( or should I say “smartly” ) !! God Bless ! Janice, I have missed your presence here. Good to see you’re back. Boy, did I have fun joining in the general jollification on the UK – Brexit thread! Yay!!! If I’m the reason why you are backing out. Don’t. I disagreed with your facts on one topic. That was it. Nothing personal, and for me at least it had no impact on any other topic. Increase the global temperature most at the higher latitudes of the Northern Hemisphere and what do you get? A decrease in the meridional temperature gradient. This has contributed towards a decrease in the strength of jet streams, violent tornadoes and severe storms. Diurnal temperature swings are a bit less(mostly from warmer lows). The greatest warming has been in the coldest places, at the coldest times of year and the coldest time of day(at night). However, the increase in temperature has allowed the lower troposphere to hold more moisture and we are seeing an increase in heavy rains. I just finished a study of our local weather here in Evansville Indiana, going back to 1897………yeah, I know just one location is a tiny data point. 6 of the top 10 wettest Springs have occurred since 1983, including the 4 wettest in those almost 120 years. Most of the one day precip records have occurred in the last 3 decades. But this makes sense meteorologically. The slight warming over the past 150 years has been mostly beneficial and the increase in CO2 has been incredibly beneficial to almost all life on this planet…….but it has increased high end rain events and flooding. If you are truly objective on this, you can’t deny that last item. I could post links from some grant grabbing climate scientists using their data, modeling or some other source to show this but we are all sick and tired of the bs, biased research which much of the time is garbage…….and it’s often difficult to tell when it’s not garbage unless you are an expert in the field. I’ve been an independent operational meteorologist for 34 years(predicting global crop weather and energy use) and this is based on my observations. There is a case to be made that the oceans warming, which has led to the increase in the water vapor in the atmosphere has a connection(from out gassing) that causes much of the increase in CO2 in the atmosphere and not the other way around. Regardless of the cause, the global climate HAS changed with regards to heavy rains over the past 4 decades. Yes, naturally…That is to be expected coming out of the Little Ice Age.. I agree that the ACE index peaked in the mid 1990’s. We don’t need a new study to confirm this. The data has been right in front of us for 2 decades. My point is only with regards to heavy rain events. You are insisting that I provide evidence. I consider NOAA a biased source………..as our many sources but their data on heavy downpours is the real data and it is matches my own data. Here in the Midwest, they show a 37% increase in the amount of precipitation falling in very heavy events (defined as the heaviest 1% of all daily events) from 1958 to 2012. In the Northeast, they found that amount to be +71%. *The 2 wettest Springs since 1897 were in the past 10 years and these were also the 2 wettest seasons ever. Up until 1983, Evansville had only exceeded 23 inches of rain in a season 1 time, during Winter of 1949-1950. Just since 1983, Evansville has exceeded 23 inches of rain 4 times-all during Springs. 100 year rains before 1983 have become 10 year events……with ever increasing extremes. In addition, records for the most rain in 24 hours also go back to 1897 for Evansville IN. In 10 of the 12 months, the heaviest rain/precipitation events/records for the monthly calendar day have occurred since 1983. But to somebody that has been a global forecasting operational meteorologist for 34 years, I don’t just observe weather in my hometown(backyard) or just the Midwest or just the US. You don’t have to believe me, my data or sources and maybe you can find something somewhere that suggests differently……but I’m telling you as an authority that his own work, heavy rain events/amounts have increased in many locations(especially those prone to heavy rain events). Ok, I went to your link. The max daily rainfall event for Evansville was 6.5 inches in Oct 1910. March 2008 reached 6.4 inches. The 100-yr, 24-hr storm event for Evansville according to TP-40 (http://www.nws.noaa.gov/oh/hdsc/PF_documents/TechnicalPaper_No40.pdf) from the early 1960s was…well, right around 6.5 inches. So if we only look at the maximum monthly events, it seems that TP-40 still holds true. There was a magical 98 years in between those two events instead of 100. Sure, there was 6.04 inches in April of 1996. That’s about the TP-40 50-year, 24-hr event. So unless you have more detailed data about rain events, this one doesn’t hold water, pardon the pun. So how come Evansville’s temperature extremes don’t want to match what you claim the precipitation extremes are doing? The warmer temps extremes are dropping with each 40-year period! Now it is true that snowfall has 5 of the 7 monthly records in the past 40 years (so much for “our children won’t know what snow is” as claimed by others). And coldest low temp has 4 of the 12 records in the past 40, with 3 of them being in the 7 months with snow records (2.5 out of 7 when it comes to coldest highs). So even if you could make the claim that rain events are becoming more extreme…well, it’s going in the opposite direction of temperature extremes! Well the internet apparently ate my homework. I did a nice analysis of NOAA’s rainfall data for Evansville from 1897-2000, and it’s gone. Bottom-line is that it seems like much-ado-about nothing in terms of any trends. Depending on the storm event, trends are very flat, sometimes slightly negative and sometimes slightly positive. Oh well. Mike Maguir — It may be due to change of unit of measurements — upto 1956 the rainfall was measured in inches and from 1957 onwards the rainfall was measured in millimeters. Measurement errors are higher with inches and less in millimeters. Also few other changes!!! Exactly how much extra water will an ocean that has warmed up by 0.001C put into the atmosphere? The evidence I provided with the NWS Sping season precip greatly increasing, for instance is compelling. However their rain gauge is in just one location. There are also close to 100 other rain reporting stations in the Paducah KY area of responsibility. Since year 2000, we’ve had 10 events that featured numerous reports of over 6 inches of rain in 1 day in several counties and 4 events in southeast Missouri and western Kentucky that featured rains in excess of 10 inches for 2 day totals over several counties. But this is expected just based on the increase in precipital water available for these weather systems. Michael, you are confused about warm temperature extremes. The biggest warm up has been more at higher latitudes and record high mins globally are exceeding record high maxes as a result,,,,decreasing the diurnal temperature range. I did not say that Evansville is setting more temperature records…they are not. increasing rains from higher tmospheric moisture, would in fact decrease temperature records. We are clearly having MUCH wetter Spingsi…….indisputable………..and that rain rarely falls In a steady., light to moderate form.. Much of the time, we get our rains all at once in very heavy downpours. As NOAA’s data/study also shows this to the tune of a 37% increase in the heaviest 1% of rainfall events here in the Midwest. My 34 years of making observations and weather forecasts tells me the same thing. Accept the authentic data……… or don’t. It’s right there. It was not because of measurement errors in the past…..or preent. Instead of assuming that there has to be a non climate change reason and looking for it, it’s ok to acknowledge that this one weather element…….an increase in heavy rain events has actually happened. Given the fact that we have found solid evidence for 60 year and longer cycles in climate. 100 years of data is not long enough to make any accurate statements regarding what is happening. Assuming the station that you are using isn’t being contaminated by local changes. For example, it’s been shown that rain tends to increase downwind from both airports and cities. Mike is it OK to acknowledge that a change has happened, when evidence for that change is marginal at best? In general, there has been a slight upward trend in rainfall in the northeastern United States and a slight downward trend in the Pacific Southwest. These trends are so small as to be statistically insignificant. Even at that, there is little evidence linking it to greenhouse gases. There is a link to ocean oscillations such as ENSO and AMOC — hence the reason this was a wet spring. There are also multi-century climate trends that we really don’t understand. The wettest years of the last century in the United States were in the 1970s and early 1980s. The driest years were in the 1930s & 1950s. In other words, we have data since ~ 1900, but the trendline over that period is dominated by the unusual decades of the 1970s and 1930s. Often you will find articles which try to “prove” that it is getting dryer or wetter due to climate change. You will find that they begin these charts in the 1930s or 1970s depending on which point they are trying to prove. Extremes are often misleading. As an exercise, I generated 20,000 N(0,1) random numbers. No trend. there was a clear hockey stick. *Despite* a single process generating all the data. “Flooding” is not a weather event. It occurs during/after weather events but depends on so many other factors and circumstances. Unless maybe you are looking at virgin countryside with nearly identical storm events and weather conditions, it is apples-and-oranges. 4 of the monthly precip records were set from 1891-1910. How warm were those two decades? No fair bringing those up! Those were natural and ancient history! They want us to worry now about present projections of our future history that have eliminated nature so that when our children’s children beam onto the intrastellarnet they’ll be in wonder of how both Nature and Man survived such political “science”. 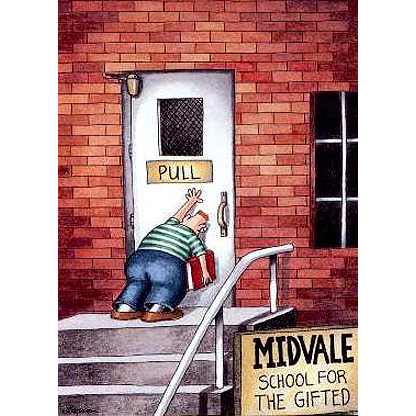 Of course, their then present political “science” will make perfect sense to them…unless you’ve taught your kids and they teach their kids …. It’s not that hard. Just love and care about them and pay attention to what the world is trying to shove down their throats. If you love them the “hard work” becomes a labor of love. Michael, I see where looking at just these individual monthly precip records for Evansville IN would give you support for your position. I looked at that, as well as entire seasons(3 month periods X 4 periods) and hundreds of individual events for the Paducah NWS area of responsibility, which includes Evansville but is wider by several orders of magnitude. This is also what NOAA did with their 2014 study that I posted a link for earlier. I found that Winters, Dec-Jan-Feb showed no trend in precip, at least not in my data. One thing that contributes to our heaviest precip events at that time of year are strong mid latitude cyclones/Winter storms. I can theorize that the global warming of higher latitude(decrease in the meridional temp gradients) and weakening jet streams, which has contributed to a decrease in Winter storms for this area, has offset the added moisture at this time of year. During our Springs(Mar-May) however, the amount of increase in heavy rain events(from all measures) is so overwhelming and repeated numerous times since 1983 as to suggest that it can’t be random variation. There was a similar but not so clear signal during Summer and Fall. Spring being the season most effected is consistent with the fact that heavy rains increase in places subject to heavy rain events…….which we are in Spring. In the Spring, we usually have a different synoptic weather pattern that brings heavy rain events. Unlike Winter, with passing/progressive Winter Storms and Summer/Fall with a heavy thunderstorm parked over one placed for a few hours, Spring often features longer duration events from a stalled weather pattern that has a good connection to a continuous flow of deep moisture. It’s these type of events that have substantively increased, especially in the Spring…..when they usually occur. In the last 15 months, we’ve had 5 different episodes of this in an area bounded by the S.Plains to the W.Gulf states, then north into the S.MIdwest/Ohio Valley. Mike, when you have 1000 datapoints, which are evenly spread around the globe, you might be on to something. In my personal experience, (NSW north coast, Australia), the wettest period was the 1960’s, but it was even wetter during the 1950’s when I was a baby. Since the mid-1970’s, no cyclone worth it’s name has come anywhere near the area, which is quite a change from earlier years. And historically, descriptions of floods on the Brisbane River 120km north of here, show quite a few with river heights 5 metres above the 2011 flood, had occurred up to the end of the 19th century – that’s over 115 yrs ago, & before cars & power stations wrought their magic in our lives. I looked a clip of that line but couldn’t find one. What changes? The average temperature has been flat for 20 years or so. Is the f*ol going to look at temp changes of 1/100 of a degree or so? But I’m told that “the science is settled”. So Professor Stott- why should we give you more money? It just needs more bucks to pack it down. Still? This is another one of those topics/claims that has been made over and over but when data is actually looked at falls flat on it’s face. He is actually proposing to collate that data yet again. So what is his miracle solution to make it ignore reality? Simple. Change the data to fit the theory. Just like Karlized temperatures. He says he only needs a couple of years and some new computer stuff. Like most other warmunist science. “Climate change caused by humans”. What about climate change not caused by humans, is that more benign or worse that the human caused type. Just wonder. Table SPM.1 is incomprehensible. Those semantics masquerading as scientific conclusions are far more disturbing than click-bait blogger’s headlines. Every thing he says presupposes the conclusion he will draw is correct. Hardly professorial. Professor Peter Stott, who also leads the Climate Monitoring and Attribution team at the Met Office. Forgive me for asking; “Climate Monitoring” seems fairly self-explanatory (i.e. it’s what meteorologists have been doing for centuries, just give it a new name and make it sound important), but what the heck is “Attribution”? Could it possibly involve identifying an “extreme weather” event and attributing it to anthropogenic global warming? Then putting out an alarmist press release and submitting another grant application? Then we learn that Prof. Stott is in the Mathematics Department. Presumably then, he’s a mathematician, but shouldn’t his job be done by someone trained in meteorology or climatology, or preferably both? Yes, that’s right. My diligent research has uncovered the astounding fact that flooding tends to occur most frequently in things called “flood plains” (I wonder how they got that name?). If you build houses on a flood plain, it seems, you are inviting yourself to be flooded out. Not only that, but if you try and force a river into a channel by building dykes or levees, you are making the river dump its sediment load in the channel instead of on the flood plain where it wants to dump it, then when it finally overflows the dykes, you get a worse flood. Amazing what you can learn, who’d have thought it? And then there’s building houses on flood plains. That is increasing and it’s caused by human stupidity, not human emissions. I’m sure Prof. Stott is a perfectly decent fellow, probably quite sincere and dedicated to his work. Making fun of him isn’t fair. But the whole climate industry is so absurd that ridicule is the obvious response. Not to worry about flooding being localized. As noted in the article, scientists are trying to rectify this. After rectification, flooding will not be localized but will be global. Stott draws a bow with a string longer than the distance from Earth to the Moon. Blaming climate change for any particular weather event, especially when extreme events rarer in the last 15 years then at any time in recent history, is neither possible, or important to do. Reading his idiocy puts a smile on my dial, until I think of the taxpayer money that keeps him warm & well fed. The innuendo here is that they see a linkage but they want it to be more reliable. They neglect to say that their linkage is pathetic if any at all and that they are simply wishing for better linkage from models. However, models are not science and only do what they are programmed to do, so models suggesting linkage are meaningless. What a shame. Stott should get together with the Premier of British Columbia, Christy Clarke. See we had a rain event in the Dawson Creek, Chetwynd area that washed out a highway and flooding in those towns. She blamed it on climate change to reinforce the carbon tax she bestowed on us. Now this flooding just proves the carbon tax is not working so either she has to cancel it or increase for more effect. Being a politician wonder what she will do? I checked out “Declining moose populations in Minnesota” and it showed me the tree of logic going back to increased CO2. It’s so simple, even them moose can unnerstand it. Oh my. The mighty moose, capable of surviving brutal Minnesota winters, is undone by season creep. Six fewer days of frozen winter has led to the decline. If only we could keep Minnesota under snow for twelve more days, we’d recover the moose population. … Wait, that won’t work. No, spring emergence was perfect for the moose until it changed. Any change is bad. 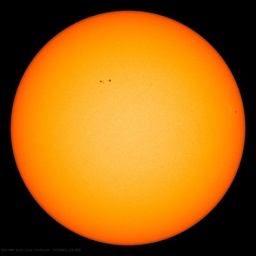 The globe must be held stable to p/m 1.5 degrees. Surely if the temperature of the globe is stable, climates will never change? Gateway to hell in Iceland about to erupt at any moment, this would be bad news for Europe this winter alongside low solar activity and la nina coming on. And if we are careful? Nobody will fall in the volcano? I was thinking along the lines of sacrificing a virgin or two, accompanied by appropriate ceremonies, on the off-chance that the volcano gods would be appeased. Maybe burn the odd witch in off years just in case they have something to do with it. I guess the modern term for being careful s the Precautionary Principle. “We could be looking at a major disaster when the next eruption begins” if we are careful. You’re right Bernie. Being careful doesn’t seem to have a lot to do with volcanic eruptions. What is really wrong, having absolutely no scientific basis at all, is the implicit assumption that burning of fossil fuels is causing global warming that is causing climate change. We may as well say that climate/weather is caused by Thor or Zeus. Who was the alarmist scientist who back in the 80’s told his fellow warmistas that they would have to make a choice between being accurate, and being effective? There’s a whole group solely dedicated to answering the question of “Is it global warming”. I wonder what their answer will be? Ever. On anything. Enough is known and has been known for years about atmospheric science to soundly conclude that Peter Stott is full of crap. Violent crime occurs when people come into direct contact. People come into contact much more when they’re strolling outside enjoying warm summer weather and balmy moonlit nights than they do when they’re huddling safely in their cars or homes with the heaters turned on full. A simple correlation of the violent crime rate with the number of people actually out on the street at that time will probably explain everything. Despite his obvious bias in looking for a human caused problem, I believe Petter Stott is one of the more objective people in the industry. I think the next winter arctic weather will change a lot of thinking.